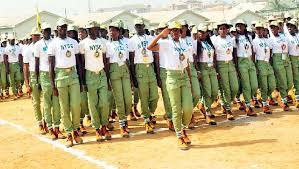 Thirty-Three Batch A corps members undergoing the orientation course in National Youth Service Corps (NYSC) orientation camp in Jalingo, Taraba State, was hospitalized following a heavy rainstorm that destroyed buildings and other valuables over the weekend. The state Coordinator, Mrs. Florence Yaakugh, who addressed the press on Monday over the development, said no life was lost in the unfortunate incident. The heavy rainstorm started while corps members were out celebrating a cultural festival in preparation for their passing out parade billed for Tuesday. The natural disaster which also shattered the screen of the corps’ ambulance vehicle, blew off several roofing sheets oh houses in the area including that of the Generator House and those some of the dormitories. According to Yaakugh “we were all here as camp officials and corps members having a cultural festival on Saturday when the rainstorm started. It was so strong that visibility was completely impaired. Yaakugh who confirmed that the 24 corps members admitted in the camp’s clinic had been discharged also said five of the nine taken to FMC Jalingo had also returned to the camp, while the remaining four were still receiving treatment. While lamenting the level of destruction of valuables in the camp, Yaakugh also expressed fears over the devastating effect erosion caused in the area and the looming danger as the raining season is fast approaching. She, however, noted that a government official had visited the camp to take inventory of the damage caused, with a promise from the state government that all repair works would commence in earnest. Our correspondent recalls that similar rain storm last year wreaked havoc at the orientation camp, leading to the destruction of several buildings.